Wales stifled World Cup-bound Mexico to claim a creditable goalless draw at the Rose Bowl in Pasadena. 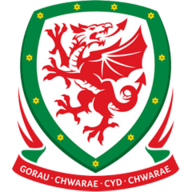 Some questioned the validity of this fixture at the end of an arduous domestic season, but Wales manager Ryan Giggs will have been pleased with the outcome. Deprived of his talisman Gareth Bale just days after the Real Madrid forward's Champions League final heroics, Giggs used the occasion to hand several of his youngsters invaluable experience on the international stage. The only real negative on a warm night in California was a worrying injury to Ashley Williams, which saw the Wales captain forced off in the opening quarter clutching his side. Giggs had been forced into making changes following their runners-up finish at the China Cup in March. As well as Bale, James Chester and Joe Allen were unavailable and Declan John dropped to the bench. Arsenal midfielder Aaron Ramsey, Joe Ledley and Tom Lawrence returned, while Brentford defender Chris Mepham - who was playing Sunday League football at North Greenford four years ago - came in for his first start. Mepham's mature performance belied his tender years, the 20-year-old showing outstanding leadership skills after Williams' departure. Mexico were quick to establish command and in Jesus Manuel Corona possessed a striker of quick feet and scoring intent. Corona forced Hennessey into a sixth-minute save and the Wales goalkeeper soon had to be alert again to stop the forward's cross from reaching the lurking Javier Hernandez. Williams was forced off after challenging Hernandez near the halfway line after 17 minutes. The Wales captain over-extended his knee as he went for the ball, but he left the field in some pain with what appeared to be a rib injury. Ramsey was handed the armband and, after Harry Wilson had fired wide after cutting in from the right and on to his left foot, he was hurt in the act of shooting. He required treatment several minutes later but was able to continue. Mexico pressed as the first half drew to a close, but Hennessey produced smart stops to prevent Javier Aquino and Hector Herrera from breaking the deadlock. Giggs shuffled his pack at half-time with the inexperienced trio of John, Connor Roberts and David Brooks sent on and a subtle change in formation. Brooks and Lawrence linked up in attack as what looked like 4-2-3-1 in the first half became 4-4-2. 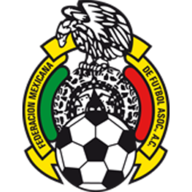 But Mexico started to apply serious pressure and Herrera was denied by the legs of Hennessey before the unmarked Oribe Peralta headed wide from a near-post corner. It turned into attack versus defence in the second half - save for the odd break-out from the sprightly Brooks - but Wales survived a few late scares to deny Mexico in front of a huge crowd of 82,345. Could you be the next Super 6 winner? Enter your predictions for free here.